I teamed up with designer Rob Green again to create the Spider-Man: Tower of Power Collection for Eaglemoss’ French division. 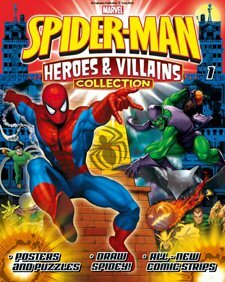 The Tower of Power’s long gone but the magazine we created is still going strong as the Spider-Man Heroes and Villains Collection, selling out across the world. It’s now about half way through its run in Australia!